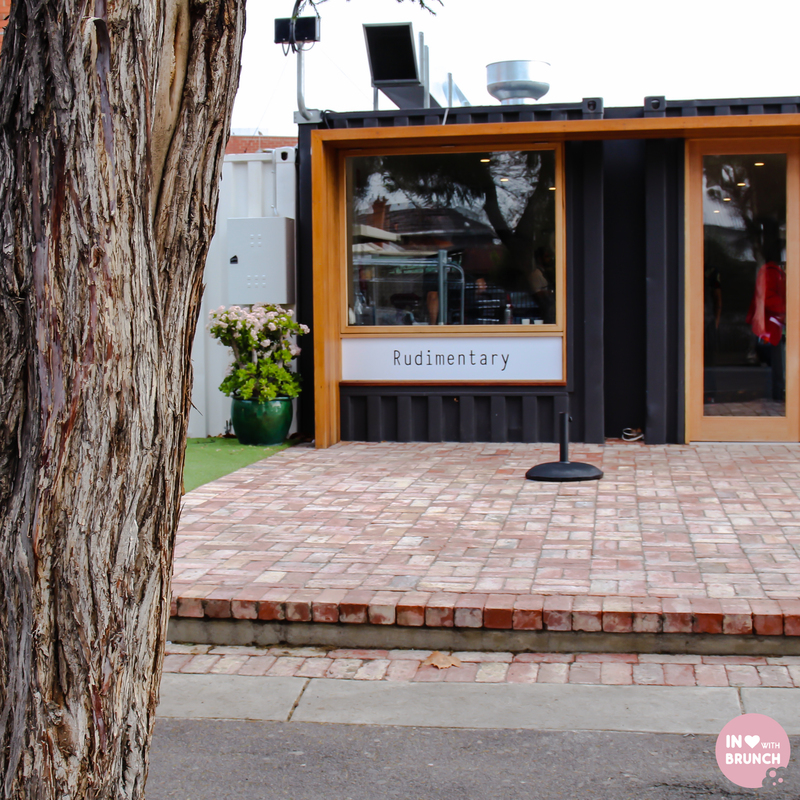 in true sustainable and portable fashion, one of footscray’s latest cafes “rudimentary” has been created by combining three shipping containers together. 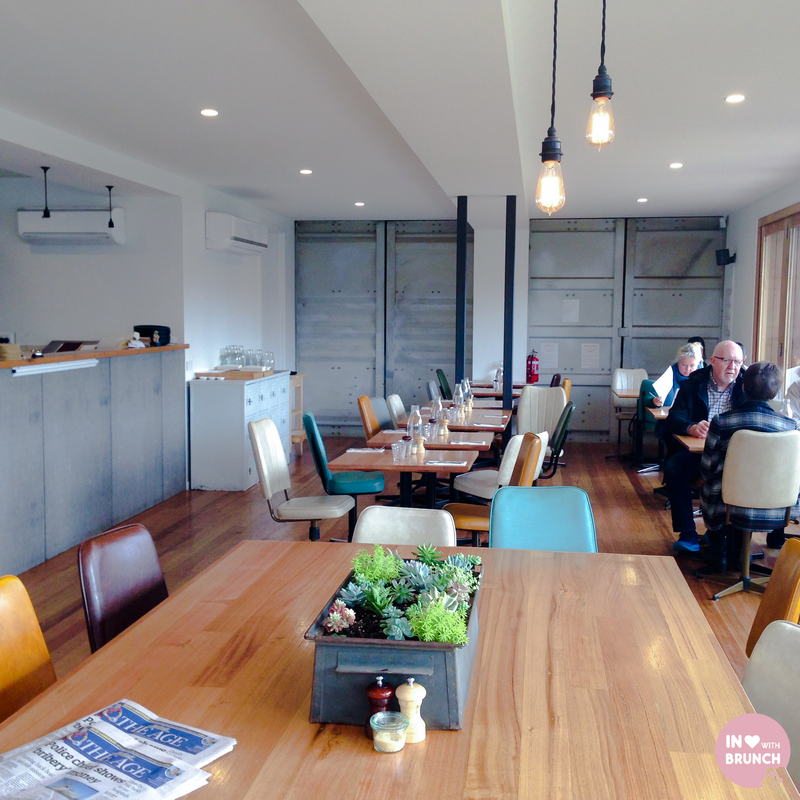 it’s the first i’ve seen in a cafe in melbourne – although a friend of mine has been doing accommodation of this kind in queensland for a few years, so i’m familiar with how cool, practical and economincal the fit-out can be – and it has created somewhat of a buzz. 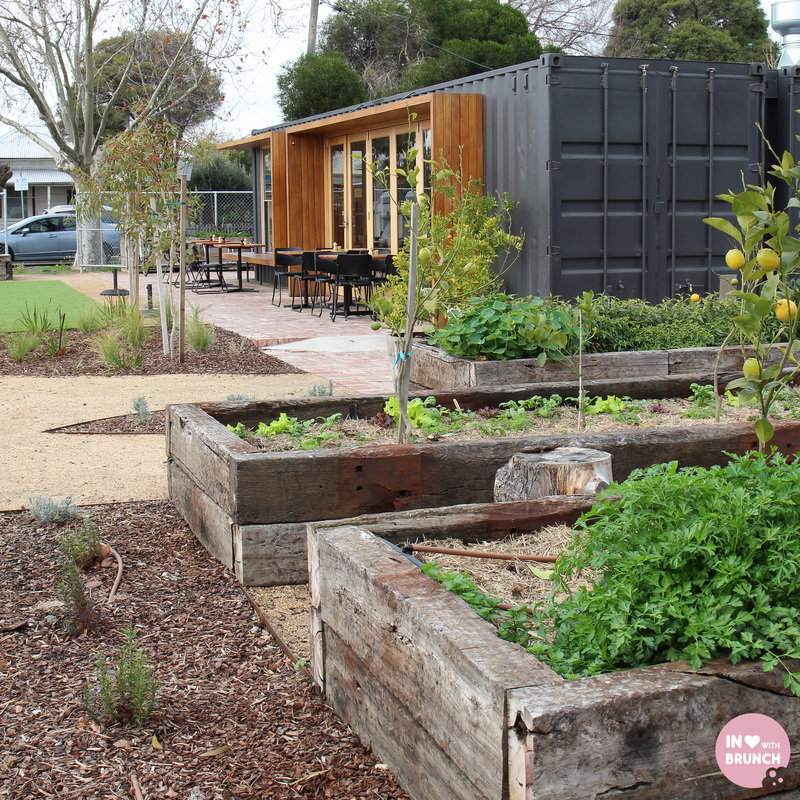 there is a cafe garden full of fragrant herbs, veggies + citrus trees on one corner of the property, and on warmer days the container doors open up into a sunny umbrella-filled courtyard. the interior fit-out is low-key but somehow industrial-hip with an assortment of coloured leather chairs, timber tables + exposed light bulbs in two of the containers and an open kitchen, coffee machine + front counter taking up the third container. the yard-facing container wall has been stylishly fitted with large open windows allowing light to stream in. this particular morning i found myself in footscray on my way to a uni exam and the cafe was occupied, but not packed, which made for a good last-minute study space. the weekday breakfast menu features some standards like: bacon + egg bun, granola and a 5-grain porridge, as well as more contemporary choosings like pork belly, ocean trout and a yummy sounding ‘buttermilk waffle with maple, pancetta, quince + quark’. the weekend brunch menu has some other alternatives like soup of the day, buttermilk chicken burger + ‘liver pate with pork crispies, pickled things + quince relish served with toast’. 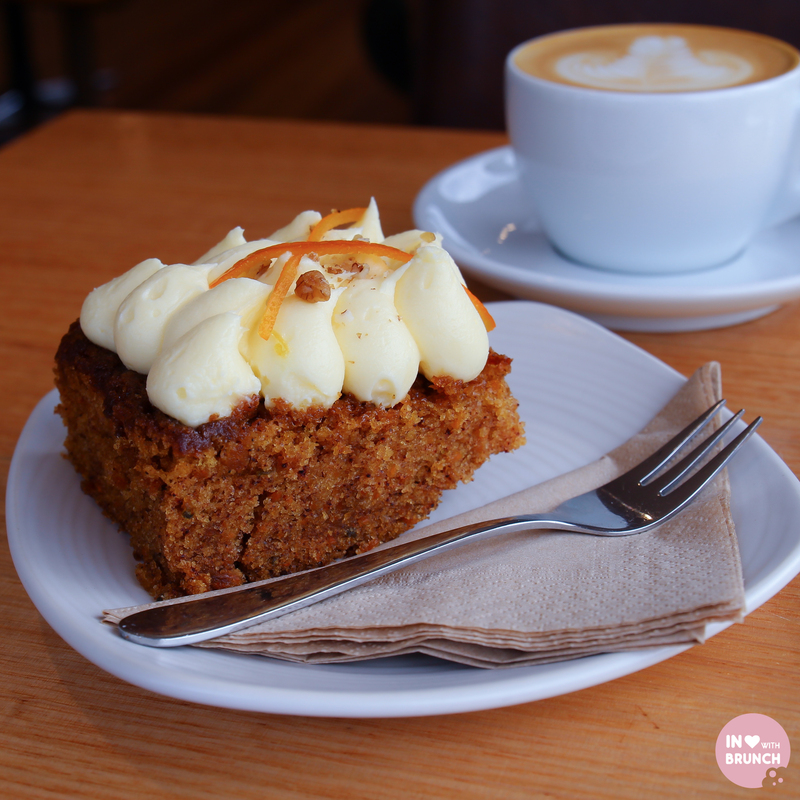 coffee is local brand small batch and was a welcome strong brew to pair with freshly baked carrot cake. ahhh, i am so addicted to cream cheese icing! the carrot cake was moist, fluffy + packed full of real chunks of carrot. sweet tooth craving satisfied! 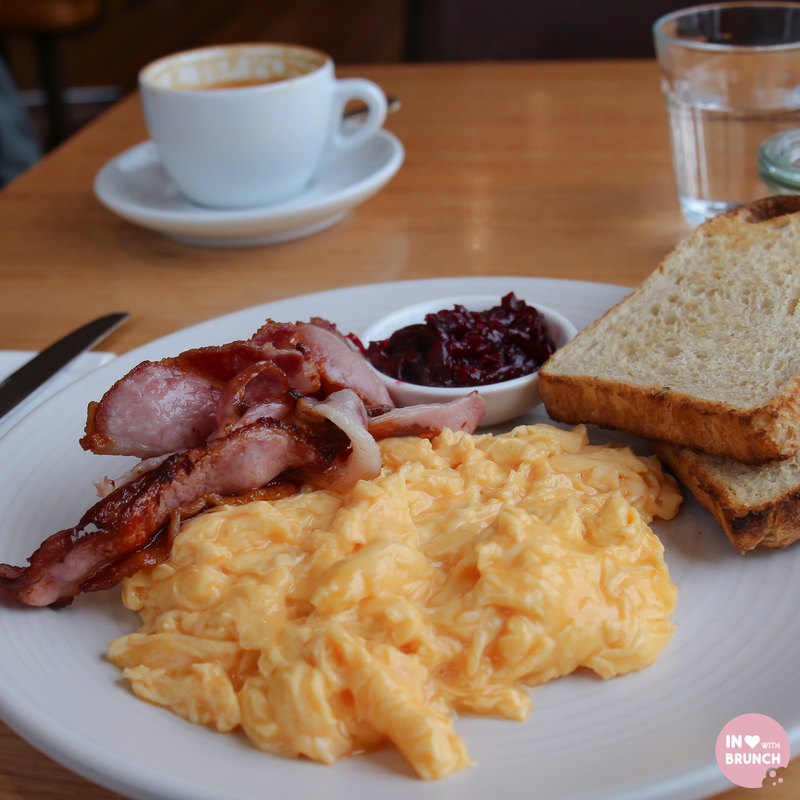 scrambled eggs + bacon with a beetroot relish and toast. eggs were creamy and the crispy grilled bacon was delish. both were very generous serving sizes. the beetroot relish was both tart and sweet (an oximoron i know, but that’s what i was tasting!). the disappointment for me was the toast – it looked enticing and trust me i wanted to eat it so bad, but without any butter it was dry and unappetising. and unfortunately i couldn’t get anyone’s attention to ask if they might have any (butter that is). this was also the case when i was in search of a second coffee. i usually don’t mind for the first 5-10 minutes, but when after 15-20 you’re still unable to catch anyone’s eye it starts to get slightly frustrating. 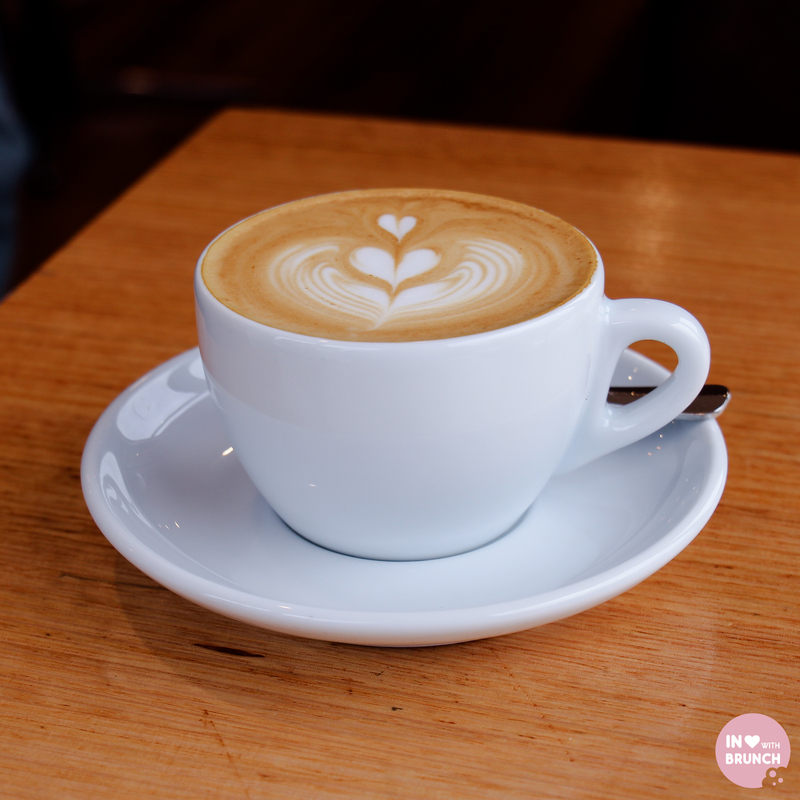 small whinge aside… the concept is super cool, the food + coffee was satisfying, and it’s great to see melbourne’s west getting a few more hip cafe’s opening up. i’m still keen to come back for a second try, hopefully it was a just an ‘off’ day on the service front… plus those waffles are calling my name. Hmmmm, been meaning to visit, not sure that I’ll rush there now.